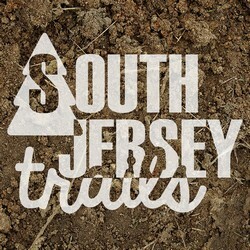 1) To seek out those trails in South Jersey that the others guys miss (or hit, we’re not particular), whether it be through a local park or deep in the Pine Barrens where the Jersey Devil steals children (other people’s children, mine are too scary for him). Then, I shall share them so the three people who read this blog can have new places to hike. 2) To accept bribes for completely non-subtle product placement. Bribes are best given in the form of Reese’s Cups or large grants that will pay my rent while I quit my job and backpack the entire Appalachian Trail. 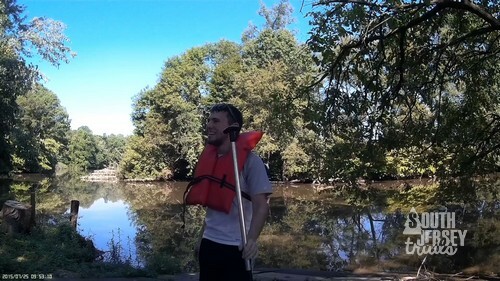 3) To also post about canoeing, history, backpacking occasional trails not quite in South Jersey, national parks, and whatever else I feel like, just confuse people. If you don’t like it, you can fight Larry. Whoever Larry is. On top of the world (or at least on top of Maryland)! Mike likes hiking (or at least fakes it well for the Internet). He has become more and more obsessed with backpacking over the years after hating it, and somehow ended up with a subscription to Backpacker Magazine at some point, he’s not 100% sure how. He’s also a great canoer, as shown by the fact that he won the Canoeing Feather at YMCA Camp Ockanickon when he was in grade school. Every once in a while, he does something a little nuts like driving cross country for two months or taking his 3 1/2 month old to Ireland for a whole month. In his free time, Mike runs a Boy Scout troop and holds down a job. 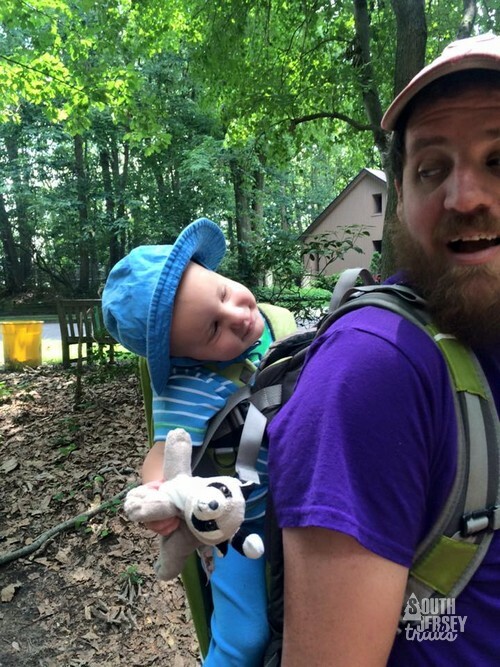 His goal is for someone to pay him an obscene amount of money to advertise on this blog so that he can thru-hike the Appalachian Trail without having his family starve. Mike likes writing in 3rd person. The Pres likes Mommy, Daddy, dogs, choo-choos, and horsies. His favorite park of hiking is throwing rocks in large bodies of water. Running in mud puddles is a close second. He is by far the most popular part of this blog. Sometimes, I suspect he is the only part of this blog that anyone likes. She’s smiling because some lady had just called her an intrepid woman. 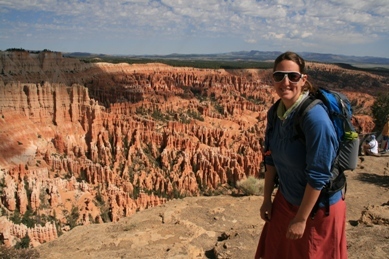 An accomplished outdoorswoman, as shown by the fact that she survived a 7 1/2 week cross country road trip (camping 38 nights out of 45) after only camping 2 nights in her life. Also an accomplished babywearer. Many people babywear through supermarkets. How many do it while climbing 618 ancient stone steps to a monastery at the top of an island mountain? Just starting to walk. Mostly in the direction of water or dogs. Thanks to our brave contributors – James, Marybeth, Dave and Mary! and of course the rest of Team Smith, Gallagher, Jeremy, Skunk, Chuck, and my Boy Scout troop. We’re ALWAYS looking for folks to become contributors to the website, to come hiking with us, or for new trail suggestions! Thanks! Black Run Preserve is one of my favorites, but I haven’t been to Wenonah Woods or the Elephant Swamp Trail. I’ll definitely add the to my list! 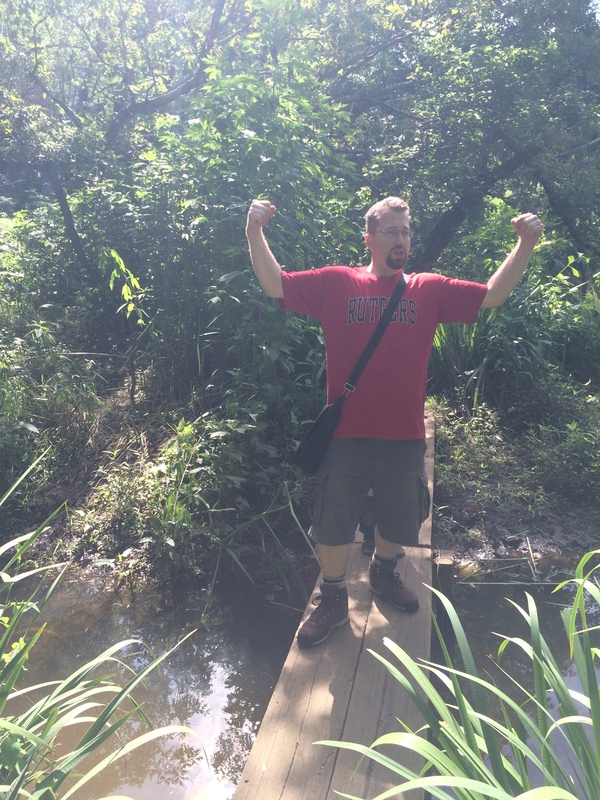 My wife has been trying to get me to go hike more in Pennsylvania (she’s a Western Suburbs girl), so we’ll have to try the Wissahickon Trails. Awesome blog! 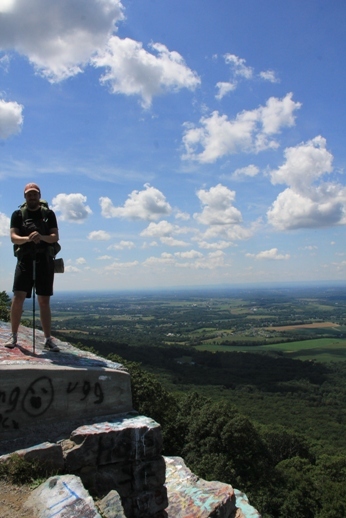 I am also an avid South Jersey hiker (when time allows). I especially like the posts on the Batona Trail and Wading River. I’ve done the Wading many times from Hawkins to Chips Folly (staying overnight at Bodine Fields). The Wading River definitely keeps you on your toes (especially when the river’s swollen). I’m currently mapping and doing write-ups on all NJ state parks and eventually plan to branch out into other states as well. I’m starting south and heading north. The Batona is my final hurdle before heading to central NJ and then the mts. I’ve enjoyed reading your 4-day go of it. Hawk Mt. in Kempton, PA (near Reading), definitely recommend Spur Trail -> Skyline Trail -> Golden Eagle Trail -> River of Rocks Trail -> parking. Forgot how long it was, pretty full day. My brother and I went slower since there was a lot of snow/ice on the rocks. Beautiful hike though. Catskills – Wittenberg Mt., Cornell Mt., Slide Mt. Loop, starts and ends at Woodland Valley Campground and follows multiple trails as well as a road. Pretty full day and quite a strenuous hike with multiple scrambles. Great hike but quite enduring. Many had blisters at the end of this one. Sorry for writing a book. I hope to visit some of the trails you posted that I was not familiar with. Thanks again! No worries, thanks for the book! Glad you enjoyed the Wading and Batona posts, two of my favorite places in the world. Thank you for all of the suggestions! I’ll definitely add them to my list. I’m itching to try the Mullica River Trail (my Scouts just did that one last week… but without me), and one of my Scouts reblazed the Penn Branch Bike Trail for his Eagle Project, but the rest of these I hadn’t come across yet! Lost Lane Road sounds particularly good, there is just something about tiny pine trees that is particularly awesome. Good luck with your state park project! 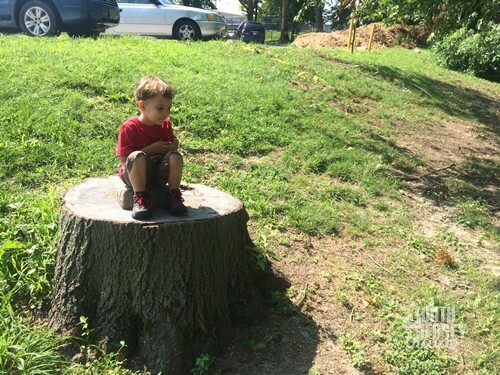 Are you doing all of the parks, or just the outdoor nature ones (because the guy at the Walt Whitman House in Camden is grumpy)? Just so you’re not disappointed, the Pygmy Pines on Lost Lane Rd aren’t quite as short as some people put online. I’ve seen posts online that they don’t grow over 6′. Well most of the pines I saw were between 7-8′ tall. I still felt a bit like a giant, due to how short the trees were. Another heads up about Penn State Forest: It only has a pit-toilet near lake Oswego and many roads flood easy after heavy rains. Lost Lane Rd is usually pretty good, but other side roads may be flooded. For my project, I’m only doing outdoor parks. I’m mapping and doing write-ups on all marked (and many unmarked) trails in NJ’s state parks. I was originally planning on doing pretty much everything (including wildlife refuges). But once I decided to go from state to state, I realized it would take way too long. Therefore, I’m limiting it just to the outdoor state parks/forests as listed in each state’s DEP Park Directory. I still love to visit other areas, I just won’t include it in the project to keep things consistent. Thanks! Can never go wrong with the Pic, I figure whatever I eat/drink I walked off ahead of time. It counts! I am so glad I stumbled across here. Being originally from MD, when I moved to South Jersey (read Jersey Shore near AC) one thing that bummed me out was all the flat space. No good hiking! I’ve been hitting places like Glen Onoko Falls in PA, but its so far. I can’t wait to give these a try! Hello, glad you stumbled across here too! We don’t have the hills or mountains that Western Maryland has (Elk Neck and the Maryland section of the AT are beautiful), but over time I hope you find that South Jersey hikes that their own brand of flat beauty. For some hills, try the Carranza to Apple Pie Hill hike in Burlington County, or maybe the Maurice River Bluffs Preserve in Cumberland County. I’m a reporter with the Courier-Post in Cherry Hill. I’m working on a story about trash along the Delaware River. I spotted a post about the Palmyra Nature Cove, and the description of one of the trails there was gross – “wading through garbage.” Yuck. The post was written by Dave & Mary. Looks like they reviewed it in August. Looking for a first-hand account of what they — perhaps literally — stumbled upon on the Delaware River shore for my story. I can be reached at cromalino@courierpostonline.com. I’ll send Dave and Mary an email and let them know. I just recently discovered this blog and plan to share it! My husband and I both runners and would like to get more into hiking/trail running. Thank you for sharing all this great info! We will definitely share with our friends and help support this awesome site. As the weather turns nicer, the hubby and I were looking for some places to hike … Luckily we found your blog and have many new places to check out! Thanks for doing this! Any leads on potential trails that may include a Jersey Devil sighting ;-). …. You’re welcome! If you ol’ J.D., tell him I said “Hi”! I am moving to Gloucester county from North Jersey next week and I am SO happy this blog exists. My boyfriend and I want to hit as many trails as possible before everything freezes. Thank you, guys! I am moving to Gloucester County from the North Jersey/NYC area next week. I stumbled across this blog while googling hikes and other outdoors activities to do before everything freezes. I’m going from 13 hour long city days to a 10 minute commute with a lot more open space. Really looking forward to it. Thank you so much for putting this together! You’re welcome, congrats on the move and the shorter commute! There’s tons of outdoor stuff to do around here, you won’t run out for quite a while. As for the freezing, that can be a great time to go out too, no bugs! Wow! You deserve to be paid for your efforts here. I hope that dream comes true some day. Can’t wait to explore all the good things we have in South Jersey. This is by far the best informational, outdoor site I have been able to find. Thank You!! Glad your enjoying it! Sadly, hiking the trails of New Jersey is not a monetarily lucrative field, but luckily its fun! Thank you so much for this blog!! I’m from Atlantic County and this gave me lots of ideas for some summer hiking fun. Hey, wanted to say thanks. 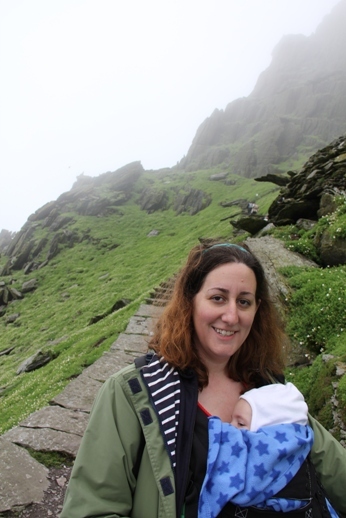 Not only have you been the primary source for most of my hikes for the past year (especially those with kids), you’ve inspired me to start a blog of my own. I really appreciate the thoroughness and lack of pretention of your writing. Awesome! Glad you (and the kids) are getting your use out of it! I moved to jersey six months ago after spending two glorious years wandering north Carolina’s glory. Also I have a beagle. And your blog is EXACTLY what I need. More places to explore! More things to sniff! We’ve conquered Amici Island and Taylor’s Wildlife Preserve so much we can navigate it in the dark. We (I) need longer 3+ mile trips otherwise I have to loop and loop. Until discovering your page I’ve just been hunting Google maps for large green areas! Excited to make a list and start conquering and tiring dog out. You’ve built an incredible resource and I wish it’s link had been in my welcome package !